Learn SAP Business Warehouse from one of the best trainer in the industry. ABAPers, its the time to upgrade your skills to Web Dynpro ABAP. Get expert level Web Dynpro ABAP training in 30 days. Advance topics like POWL and BRF+ are also covered. SAP Workflow course is delivered by one of the best Workflow Trainer in the world. 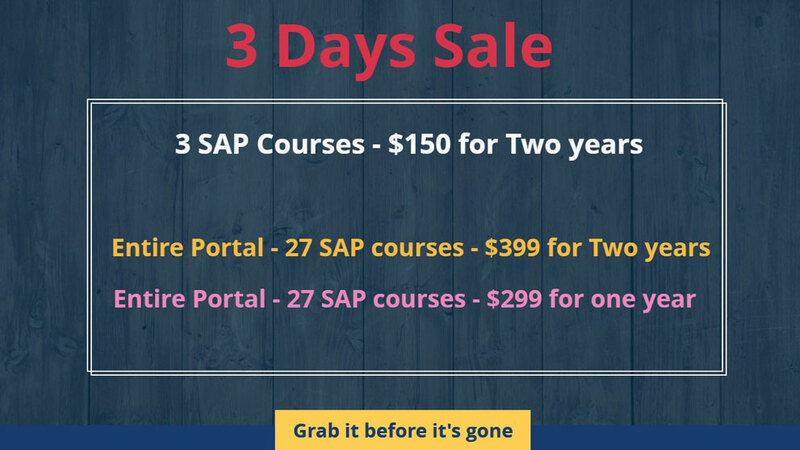 Start learning now and become expert in SAP Workflow. Learn FPM skill in 10 days with this video based course. The Floorplan Manager provides a highly-configurable framework for easy and efficient application development and adaptation. Lean CRM Technical including BOL, GenIL, Componentization, Web UI, Enhancement and Basics of ABAP. Spend an hour a day on the course and in 30-40 days you can become strong in CRM Technical. A career which can easily help you learn valueable skill. Start learning now and become expert in SAP Security. We offer expert level SAP PI course. Enroll now and become SAP PI exert at your own pace. "Very informative. Tutorials have covered some fundamental concepts which are generally ignored and are base of Business Intelligence. Videos are very simple to follow and explanation is step-by-step ..."
"I have completed around 30% of the course and it's excellent so far. Customer service is excellent as well. (I need some help with my account settings and I was helped promptly)..."
"I have gone through most of the video training series for WDA (Web Dynpro ABAP,, FPM, POWL and BRF). With the exception of a few technical glitches, which the staff addressed promptly, my experience ..."
INVISTA transforms daily life through its innovations in the nylon, spandex, polyester and specialty materials industries. Helping federal clients accelerate their journey from ideas to outcomes.